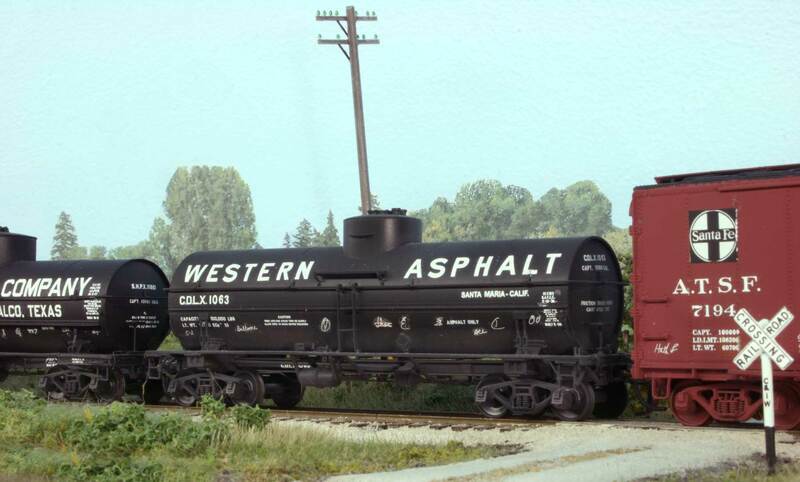 Resin Car Works Chief Frank Hodina returns with part two of his recent trackside photography. Here are his model notes. Click on any image here to review a larger size. This is a continuation of an earlier post featuring some of my HO scale fleet on a sceniced portion of the layout. These were taken under LED lighting rated at 6500 Kelvin. 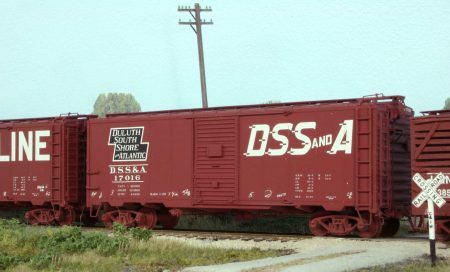 We lead off this post with Duluth, South Shore & Atlantic 17016, which was a limited run Resin Car Works kitbash kit featuring an Intermountain car body, extra resin and etched metal details, and decals. 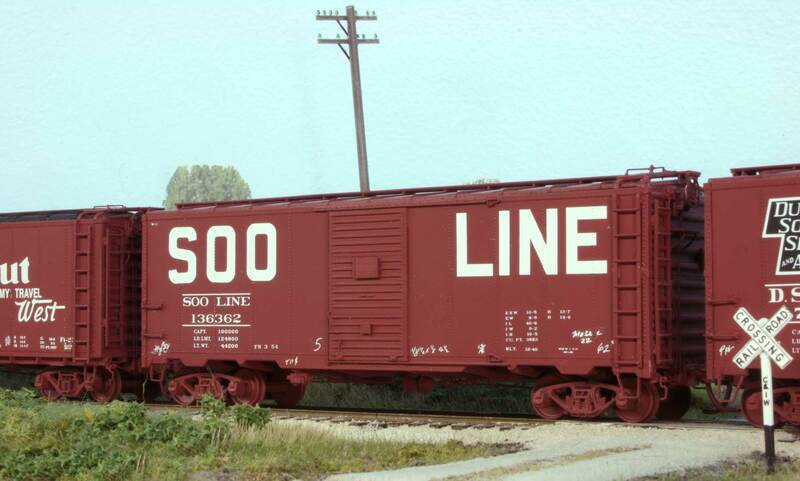 SOO LINE 136362 is another RCW kitbash car similar to the lead DSS&A model. ATSF 7194 is a kitbashed, Life-Like P2K model modified with a Sunshine mini-kit MK 17. The side sills and end have been changed. 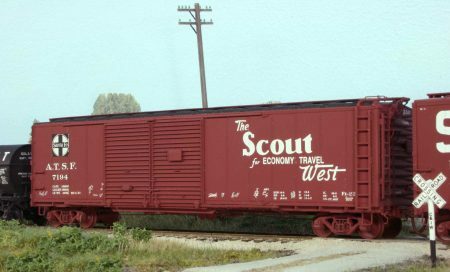 Trucks are from Tahoe Model Works. CDLX 1063 is an Overland brass model with new Tahoe Model Works trucks and Tichy Train Group decals. This is one of our latest kits. These models represent AC&F Type 27, 10,000-gallon, insulated tank cars. 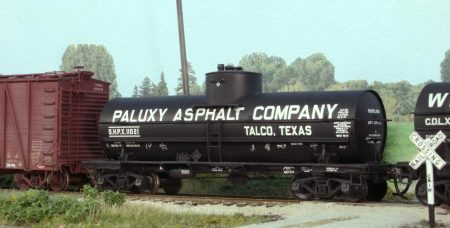 The Paluxy Asphalt car is Kit 6.03. CB&Q 45508 is a Speedwitch Media kit built out-of-the-box. The only items added were trucks and couplers. 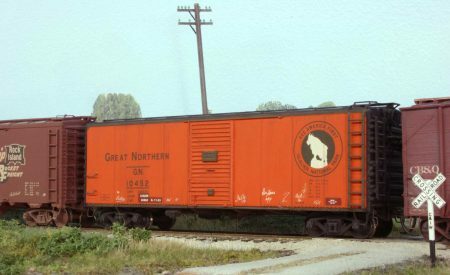 GN 10452 is a stock InterMountain car with new reweight and repack data, metal stirrups, chalk marks, and weathering. There are many such R-T-R cars out there that with a little work can be turn into almost resin quality models. 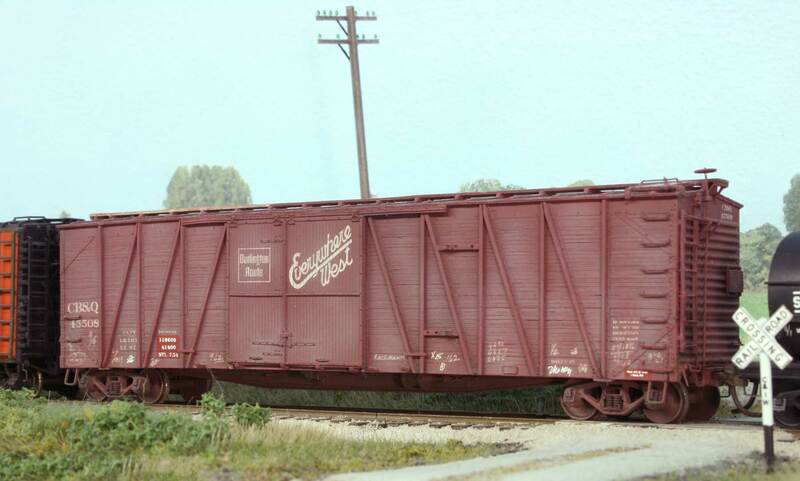 We thank Frank Hodina for sharing images of his freight car fleet. He’s now busy again working on the next few Resin Car Works model releases. Frank these are fine looking cars. Thanks for sharing. You did mean “Metal Sill Steps” instead of of “metal stirrups” I am sure as stirrups are on saddles. Nice work as usual. I’d like to see more of Frank’s layout.